J. Devin MacKenzie, technical director of the Washington Clean Energy Testbeds and Washington Research Foundation professor of clean energy, materials science and engineering, and mechanical engineering at UW, and MicroConnex, Inc., a Snoqualmie, Washington company that performs custom and low-volume flexible hybrid electronics (FHE) manufacturing for high-tech industries, have been awarded a $980,000 grant to solve a key need within the FHE technology base. 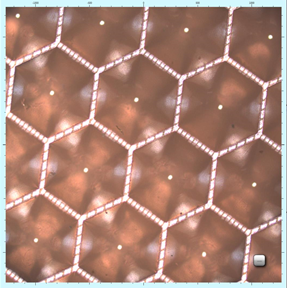 Using the roll-to-roll printing capabilities of the Washington Clean Energy Testbeds, an open-access lab for fabricating and testing clean technologies, MicroConnex is developing the ability to fabricate novel copper-clad, high-density interconnects on flexible substrates at an industrially-relevant scale. The research partnership is funded by NextFlex, a Department of Defense-backed consortium of academic institutions and industry partners focused on developing and manufacturing FHE in the United States. UW became one of 30 founding members of NextFlex in 2016. Flexible hybrid electronics represent a new class of electronics that are bendable, stretchable and highly robust — well matched to applications such as wearable electronics, on-body sensors, and electronics for extreme environments. Furthermore, FHE are both thin and lightweight ­— the total thickness of FHE circuitry can approach 25 micrometers, and replacing rigid electronics with FHE can result in a weight reduction of over 50%. The ability to manufacture FHE at scale using advanced printing techniques could revolutionize devices like compact wireless transmitters, actuators, and medical sensors. In addition, FHE technology could be the cornerstone of a new era of “smart” and conformable consumer products to better interface with the human body, further advancing the efficiency and interconnectedness of our world. Close-up of the photopolymer plate (printing master) used for flexographic printing. 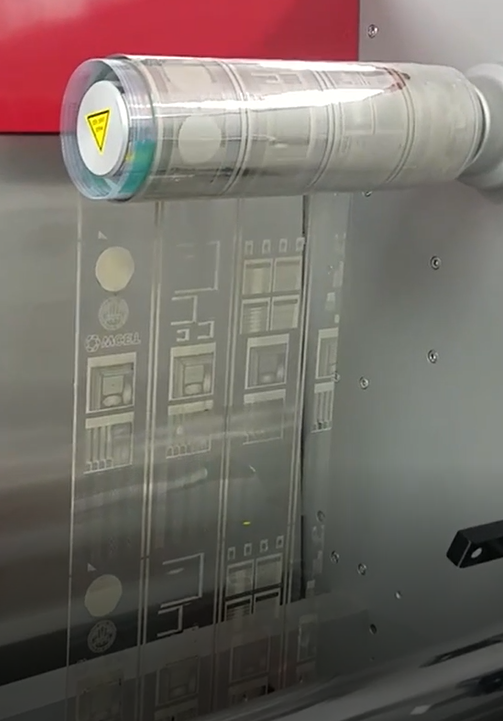 MicroConnex’s new FHE manufacturing process is fully additive and eliminates many of the byproduct waste streams that result from conventional subtractive manufacturing techniques such as etching. 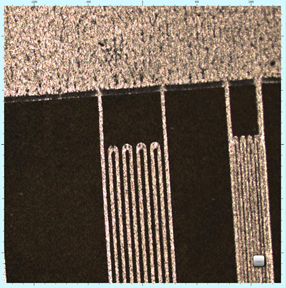 Using the new process, a flexible substrate is first printed with a “seed” circuit pattern less than 300 nanometers thick, before the interconnects are built up along the pattern using electrodeposition. 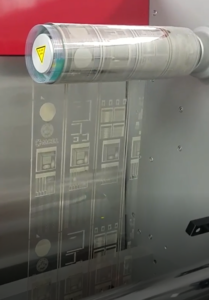 The project represents a significant advance for FHE manufacturing, moving away from typical subtractive circuitry fabrication processes while directly addressing fundamental challenges of circuit density, substrate flexibility, and manufacturing cost. MacKenzie is an expert in printable and flexible electronic materials, having spent over 17 years in the field as a scientist, research leader, and seed-stage entrepreneur. His research team and MicroConnex have already begun their work on the NextFlex grant, with initial focus on demonstrating the ability to print high-resolution silver nanoparticle seed films on flexible polyimide substrates. Subsequent research phases will develop the electrodeposition processes necessary to transform the seed film into a working circuit. At the conclusion of the project, MicroConnex and the Testbeds will provide direct access to the developed technology to NextFlex members for both R&D and commercialization purposes.